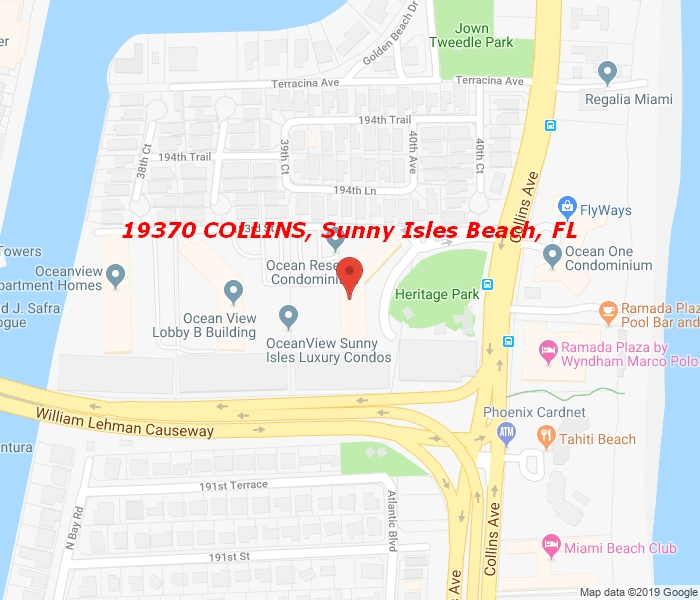 Amazing opportunity to buy a condo Ocean Reserve Sunny Isles Beach 1/1 with Atlantic Ocean, Heritage Park and Sky view of Sunny Isles Beach. Fully remodeled, newer appliances, porcelain floor, updated kitchen, bathroom. Large glass balcony, tiled, East Exposure. Just steps from the beach, shops and restaurants. Internet, cable, hot, cold water, AC are included in the low maintenance $497. Concierge, security, gym, heated pool, tennis courts, convenience store, hair salon, coffee shop, party room, welcoming lobby with excellent stuff. Reserve living in the heart of Sunny Isles Beach. Must see and fall in love with the apartment at Ocean Reserve and Sunny Isles Beach.